The authors review the educational and political rationales for school-based labels for students, teachers and programs, particularly with respect to learners identified as needing English language and literacy support. They examine the ways in which labels can communicate unintended messages that can get in the way of providing students an effective education. The article encourages educators to push back against labels that should be challenged or changed, and to transcend the categories they create. As a society, we are fixated on labeling and categorizing people. Before a baby is even born, people want to know whether it is a girl or a boy. Racial group designations also lead to external perceptions and, in many ways, to differential treatment in our society. These gender and racial categories are social constructions that have significant meaning, and they come to school along with the students we teach. On top of these social labels, schools add their own designations. Although such labels can be purposeful and helpful, they can also be limiting and damaging to the education of our students. In this article we review the educational and political rationales for school-based labels, particularly for learners identified as needing English language and literacy support, and the often unintended consequences of such labels. We examine the ways in which these labels can be limiting, communicating messages that can be harmful and that can get in the way of providing students an effective education. We start with the role of student labels, and then move on to the categories we use for teachers and programs in educational settings. Following the monumental Lau v. Nichols court decision (1974), all students who speak a language other than English at home, and who are deemed to have a level of English that is insufficient for schooling, must receive services to support their English development. The law left the role of creating criteria and a system to determine which students require these developmental language classes/programs to the discretion of each state. In many states, families and guardians of new students complete a home language questionnaire (HLQ). If they indicate that a language other than English is spoken in the home, the child must then take an exam such as the WIDA screener (in Minnesota and other states) or the New York State Identification Test for English Language Learners (in New York). If a student scores below a certain level they are automatically labeled as an English Language Learner (ELL), requiring schools to provide them with focused English language instruction. To exit this designation, students pass an exam and/or achieve a minimum score on a standardized English language arts exam. This means that the first formal schooling experience for many students – usually within ten days of entering a school – essentially entails failing an exam. Fortunately, federal law has caught up with the problems with the term LEP, and it has been replaced. While the new term English Language Learner (like its cousin, English Learner or EL) removes the word “limited,” it still focuses on what students are lacking: English. Students are positioned not as learners of math, science, or social studies, nor as artists, athletes, or poets. The label sets English proficiency as a panacea, yet any English monolingual will tell you that speaking English has yet to solve all their problems. 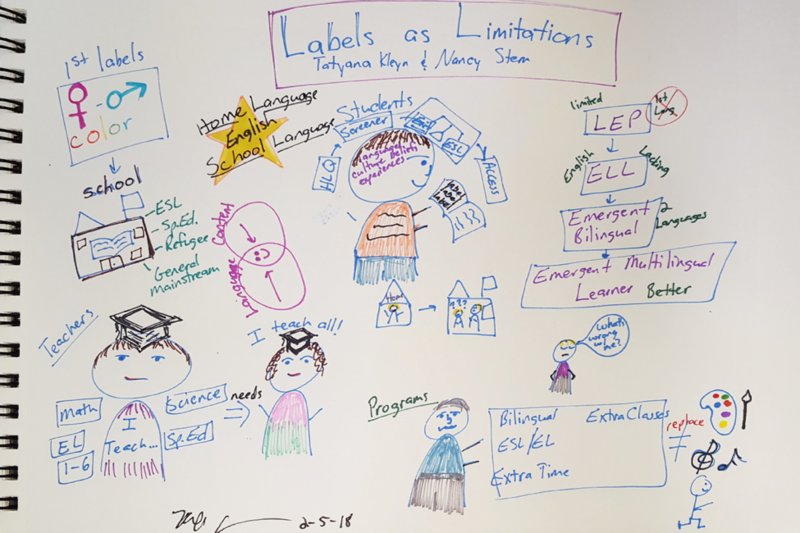 For students who have been designated as ELLs for six or more years, we add to this label, calling them Long-Term ELLs (LTELLs). Some have observed that this term is akin to “lifers,” a word used in prison settings to describe people who have life sentences (Valdés, 2001). One high school student we know who was informed that the label Long-Term English Learner could be applied to him replied, “You just made me feel stupid” (Flores, Kleyn & Menken, p. 113, 2015). Furthermore, Brooks (2016) and Flores et al. (2015) note that many students who fall under this label are US-born and are resentful of a categorization that disregards their full linguistic repertoire as bilinguals whose language practices include features from English and their home language(s) for various purposes. These US-born students (rightly) do not understand why they are labeled in the same way as students who have arrived from other countries (Fuligni, Witkow, & Garcia, 2005). To push past the negative connotations embedded within these labels, García and Kleifgen (2010) proposed the term Emergent Bilingual. This label focuses, first, on language learning as a dynamic process (emergent), and second, on the students’ bilingualism. It reminds us that language learning is an ongoing process in which students add to the linguistic resources they bring with them to become bilingual (or multilingual). Emergent Bilingual has become a widely-used term within the academic literature, but has yet to take hold in PreK-12 settings. One drawback of the term Emergent Bilingual is that it describes students as speakers of two languages, when in fact many students come from places and families where numerous languages are in use. Therefore, the terms Multilingual Learner (MLL) and Emergent Multilingual Learner (EMLL) have begun to appear, to highlight the fact that students speak multiple languages and come with a range of linguistic resources that they can build upon. While this evolution of labels (see Figure 1) has broadened the view of students and removed some of the explicit negative connotations of previous labels, students who are given these designations are still sometimes viewed as problematic. Schools may see them as bringing down test scores, and may even try to push them out to avoid this outcome (Lukes, 2015). Students who receive services intended to fix their perceived language problem may miss out on enrichment opportunities in the arts or advanced placement classes (Callahan & Shrifrer, 2016; Umansky, 2016). And they are much more likely to be placed in classes for special education as opposed to gifted programs (Sullivan, 2011). This discrepancy of higher than average placement of multilingual students into special education settings and lower than average placement into gifted and enrichment programs is telling in terms of how students with these labels are perceived and educated. We also know that students labeled as ELLs are not the only bilingual or multilingual speakers in our schools, as other students come with proficiency in multiple languages. However, when schools only focus on students’ English language proficiency, we make students’ home languages invisible. While some students may have the chance to share and even bring their home language into the school, others may feel a sense of shame in revealing their linguistic (and cultural) backgrounds. Children learn quickly that English is the language of power in this country and as a result, in schools too. This was the case for me (Tatyana), after I came to the US as a child from the Soviet Union and quickly picked up English. Most likely because I am white and did not have a Russian accent like my parents, teachers never even asked about my language practices and assumed I was an English monolingual. In New York City, 40% of students speak a language other than English at home (Koyama & Menken, 2013), but if they are proficient in English they usually find themselves identified as English monolinguals, erasing aspects not only of their full linguistic abilities, but also of their identities, and pushing them Ftoward English only. In fact, our students’ multilingualism should be celebrated as an asset not only to their learning, but also as an asset to our schools and communities. When we think about students, labels matter and language matters. How we describe learners impacts their educational trajectory and outcomes, as well as their self-perceptions. Therefore, we are well served to continue to think and rethink about the labels we use, as well as the ways in which students within and outside of them are educated. And as with students, the labels we assign to teachers also come with both advantages and drawbacks. When someone decides to become a teacher, they often think of the content they feel most passionate about, or the age-group that they feel best suited to educate. Next, they choose a major such as elementary education, secondary science or, of course, Teaching English to Speakers of Other Languages (TESOL). Before we look at teacher preparation, let’s think for a moment about the name of our field, TESOL, which centers squarely and exclusively on English. While teachers may hope that their students retain and continue to develop their home languages along with literacies and content competencies, the label itself gives no hint that there is anything to be addressed other than English. Fortunately, students, teachers and teacher education programs push beyond the limits of this and other labels. Generally, prospective teachers are prepared for their area of expertise in programs that are housed in highly compartmentalized Schools of Education. In some cases (i.e., special education, TESOL), teachers are prepared to work with a specific sub-group of students (García & Kleyn, 2013). On the other hand, most teachers are prepared with either one content area at the secondary level, or the core content areas at the elementary level. Some of these prospective teachers are required to take a course on teaching students with disabilities and/or on educating multilingual learners, but this is generally when state mandates are in place (de Jong, 2013). This type of siloed preparation can lead to teachers who resist teaching literacy across the content areas, because they were only prepared to be a math or science teacher, for example. It can also result in content area teachers who may feel it is not their responsibility to teach students who are learning English – or to support them in their English development – as well as in TESOL educators who may struggle to teach language through a content area they have not mastered. The disciplinary labels for teachers can limit not only their sense of responsibility, but also how much and what their students might learn. To counter the narrow approach to preparing educators, teachers should be educated in more holistic ways that go beyond a content area(s) and/or specific student populations (Kleyn & Valle, 2014). This is especially important for emergent multilingual learners, who spend the majority of their school day with educators who have not been taught how students learn languages, or about the role of home languages, or how to make content accessible to those who are still developing proficiency in English. As we increasingly see the educational value of integrating language and content learning, it is also critical that we rethink the preparation of ESOL teachers, who are now becoming content teachers as well as language teachers. Instead of focusing only on multilingual learners, why not have TESOL majors select either a content area for secondary settings, or a focus on elementary education, to deepen their preparation to integrate language and content for their students? We cannot avoid classifying teachers any more than we can avoid classifying students. But we should strive to find ways, within universities as well as in PreK-12 settings, to push against and beyond the labels we have assigned. It is vitally important that teachers be prepared for the interdisciplinary nature of content as well as for the diversity of their students. We should think too about the labels we apply to programs within our schools. When students are labeled as English Language Learners, it is usually their families who decide between two general types of programs: ESL (English as a Second Language) or Bilingual Education, if an option for the latter exists. Most students are placed in the former type of program, which may also be called ESOL or ENL (English as a New Language). The term ENL, which is now the official designation of these programs in New York, recognizes students’ multilingualism. Traditionally, these ESL/ENL spaces have been policed for English use, and students have been asked to leave their non-English linguistic resources at the door (Taylor & Snoddon, 2013). While this could be well-intentioned, that approach has robbed students of the opportunity to build on what they know and to be able to make explicit comparisons across the languages they practice. Fortunately, there has been a reframing of the TESOL field recently that has led to a shift beyond English only boundaries (García, 2014; Lin, 2013). For example, translanguaging pedagogy creates opportunities for students, even in ESL/ENL classes, to draw on their full linguistic knowledge and abilities to learn both content and language (for classroom examples see García and Kleyn, 2016; García, Johnson and Seltzer, 2017; for more on translanguaging see García 2009). This promising recent development in the field has expanded TESOL beyond its label to include the multilingualism of its students. Students who are placed in transitional or dual language bilingual programs are usually educated in a way incorporates their home language and English. In these programs, language use is generally dictated rigidly by teachers (in side-by-side models), by day/time, or by content areas, rather than by the needs of their students. These strict adherences to the norms of one or the other named language converts these bilingual programs into double monolingual programs. As in the immersion programs that bilingual education was meant to end, bilingual students are forced to suppress parts of their linguistic repertoire throughout the school day (Sánchez, García & Solorza, 2017). Furthermore, when students are in programs in which each teacher provides instruction in only one language, they may believe their teachers are monolingual. Positioning teachers as monolinguals contradicts the values we aim to instill in students regarding bilingualism and biliteracy. And finally, just as we have moved from labeling students from bilingual to multilingual, the dualistic aspect of bilingual programs hyper-focuses on English and the additional language, once again overlooking the multilingualism of students and their families (Martínez, 2017). Therefore, while bilingual programs certainly broaden opportunities for linguistic diversity, they may also restrict multilingualism to just two languages that exist in isolated spaces. 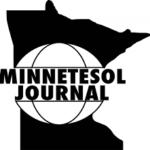 Our objective in writing this piece has been to show that while labels for students, teachers and programs are a necessity, they can also be limiting and even detrimental to the education of our multilingual students. Our hope is that educators will create norms in which we push back against the problematic terms we use, cross borders, and question when labels should be changed, and when they must be eliminated. To take our own advice and move beyond the mono-modality of traditional academic journal articles, we conclude with a visual representation of our text by Rachel Casey. We leave you with this image to inspire reflection on your use of labels and the ways we might transcend them. Art by Rachel Casey, St. James Public Schools, Independent School District 840, Minnesota. Brooks, M.D. (2016). “Tell me what you are thinking”: An investigation of five Latina LTELs constructing meaning with academic texts. Linguistics and Education, 35, 1-14. Callahan, R. & Shrifrer, D. (2016). Equitable access for secondary English learner students: Course taking as evidence of EL program effectiveness. Educational Administration Quarterly, 52(3), 463–496. DOI:10.1177/0013161X16648190. de Jong, E.J. (2013). Preparing mainstream teachers for multilingual classrooms, Association of Mexican American Educators Journal, 7(2), 40-49. Fuligni, A. J., Witkow, M., & Garcia, C. (2005). Ethnic identity and the academic adjustment of adolescents from Mexican, Chinese, and European Backgrounds. Developmental Psychology, 41(5), 799-811. García, O., & Kleifgen, J. (2010). Educating emergent bilinguals: Policies, programs and practices for English Language Learners. New York, NY: Teachers College Press. García, O., & Kleyn, T. (2013). Teacher education for multilingual education. In Carole A. Chapelle (Ed.). The Encyclopedia of Applied Linguistics (pp. 5543-5548). Oxford, UK: Wiley-Blackwell. Flores, N., Kleyn, T., & Menken, K. (2015). Looking holistically in a climate of partiality: Identities of students labeled ‘Long-Term English Language Learners’. Journal of Language, Identity & Education, 14(2), 113-132, DOI:10.1080/15348458.2015.1019787. Koyama, J., & Menken, K. (2013). Emergent bilinguals: Framing students as statistical data? Bilingual Research Journal, 36(1), 82-99. Lin, A. M. Y. (2013). Towards paradigmatic change in TESOL methodologies: Building plurilingual pedagogies from the ground up. TESOL Quarterly, 47(3), 521-545. Lukes, M. (2015). Latino immigrant youth and interrupted schooling dropouts, dreamers and alternative pathways to college. Bristol, UK: Multilingual Matters. Sánchez, M.T., García, O., & Solorza C. (2017). Reframing language allocation policy in dual language bilingual education, Bilingual Research Journal, 41(1), 37-51. DOI:10.1080/ 15235882.2017.1405098. Sullivan, A. (2011). Disproportionality in special education identification and placement of English language learners. Exceptional Children, 77(3), 317-334. Taylor, S., & Snoddon, K. (2013). Plurilingualism in TESOL: Promising controversies. TESOL Quarterly, 47(3), 439-445. Umansky, I. (2016). “Leveled and Exclusionary Tracking: English Learners’ Access to Core Content in Middle School.” American Educational Research Journal, 53(6), 1792-1833. Valdés, G. (2001). Learning and not learning English: Latino students in American schools. New York, NY: Teachers College Press. Tatyana Kleyn is Associate Professor and Director of the Programs in Bilingual Education and TESOL at The City College of New York. She was the 2014-15 president of the New York State Association for Bilingual Education and a Fulbright Scholar in Oaxaca, Mexico. She is co-editor of “Translanguaging with Multilingual Students: Learning from Classroom Moments” with García (Routledge, 2016). Nancy Stern is Associate Professor in the Programs in Bilingual Education & TESOL at The City College of New York (CCNY), and in the Linguistics Program at the CUNY Graduate Center. She has served as the Chair of the Department of Teaching, Learning, and Culture at CCNY and as the director of the CCNY Programs in Bilingual Education and TESOL.